Wow! What a beautiful and moving show! 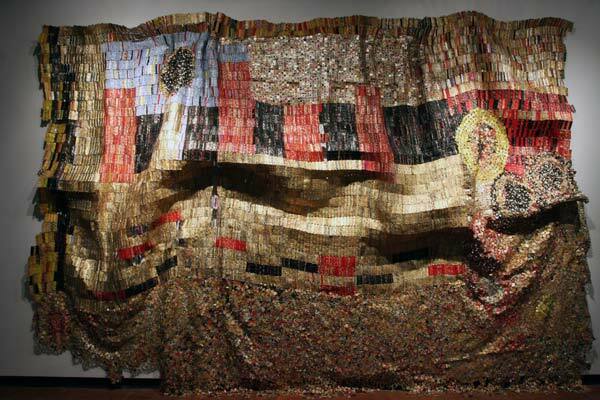 The El Anatsui retrospective,When I Last Wrote You About Africa, is at the North Carolina Art Museum. I highly recommend taking the time to go see this thought provoking show.